﻿ LED Bulb Light Factory, Company, Manufacturers - Xiamen Konshine Electron Co., Ltd.
Xiamen Konshine Lighting Electron. Co., Ltd.
Xiamen Konshine Lighting Electron Co., Ltd is a supplier of high-quality lighting products in China and is a high-tech enterprise that integrates research and development, production, sales and service. It is committed to providing comprehensive lighting solutions and professional service for high-grade customers all over the world. At present, Konshine has thousands of sales outlets in more than 100 cities in China. Its products are exported to over 50 countries and regions such as Europe, North America, South America, Middle East. Besides, Konshine is one of the suppliers of many famous international enterprises such as the Home Depot. Established in 2008, Konshine is located in Haicang and Taiwanese Investment Zone in Xiamen, Fujian, China. 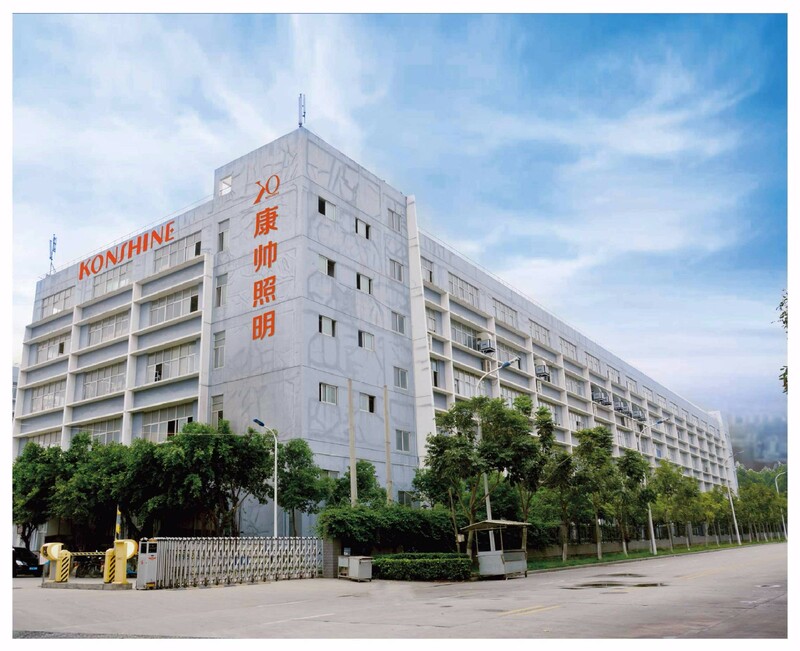 With about 1,5000 square meters modernized workshop, Konshine has more than 1,000 employees including over 100 industry experts, intermediate and senior engineers as well as managerial personnel. Its products mainly consist of CFL, LED bulbs, LED panel series, ceiling lamps, frame lamps, down light series, spot lamp and street lights etc. They are widely used in such fields as residential lighting, office lighting, commercial lighting, outdoor lighting and project lighting. Konshine is fully implementing quality management system of ISO9001and has gained such reputations of Fujian High-tech Enterprise, China’s New-brand Lighting Industry in 2014, Brand of the Year 2015 in the World Lighting Industry and Xiamen Famous Trademark. Its products have won 13 national technical patents and have passed more than 10 quality certifications like CE 、ES、 UL、 CB、 ETL、 ROHS、 SAA、 SASO 、SGS、 CQC、 CCC. Ingenious thoughts make top quality. Good light products illuminate something positive. With strong research and development ability, keen developing prospective, innovative design concepts, scientific service and management and strict quality control, Xiamen Konshine Lighting Electron Co., Ltd is moving towards the goal of creating high-quality national lighting brand.